Did you know that 62% of REALTORS would like their MLS to expand the technology and services offered? If you're looking to include value added services for your agents and board members, we'd love to help. We have created a turnkey solution that will turn your MLS listings into beautiful marketing collateral for your board members - automatically. At Properties Online, we can provide your MLS board with a complete suite of marketing tools to help your agents and brokers grow their business. With discounted per-listing pricing, MLS accounts are the most affordable way for your agents to get all the latest and greatest real estate tools with our Listings Unlimited MLM (Multiple Listing Marketing) package. Enjoy all of our real estate promotional tools, including Single Property Websites, Listing Videos, Smart Lead Capture Mobile App and so much more - all for one low price! According to the latest statistics from NAR, 46% of real estate firms state that keeping up with technology is one of the biggest challenges they face over the next two years. We constantly work to improve our product and services, adding new features all the time. 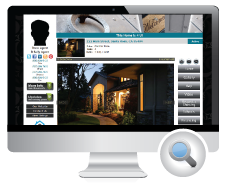 Let us keep you and your agents at the forefront of real estate technology! Oh yeah! Don't forget about our Private Label service! Looking to White Label our Products and Services? We've got you covered! Build valuable relationships with Real Estate Professionals by offering them turnkey, marketing solutions that will help them grow their business! With our service you can provide agents with a complete Real Estate Marketing solution. Our marketing tools include single property websites, smart lead capture, property videos, social media promotion, craigslist flyers, a property feedback system and more! When an agent receives a lead or inquiry from a property website or other marketing collateral, the email comes with your branding! Every property website is Co-Branded and Co-Marketed by you, so you can now reach Buyers directly and get more leads. Send agents and brokers to a custom branded domain to login to our system! We can add your logo and color scheme to ensure seamless branding from your site to ours! Send email invitations to agents inviting them to create a free user account! Once they've sign up, they are automatically placed into your account. Not only will your ads appear on all of the property marketing material, but we also include a welcome message that the agent sees each time they login! You have control over where your ads appear. For information regarding setup fees for our Private Lable service, please contact our office. Sources Used: Profile of Real Estate Firms, Profile of Home Buyers and Sellers, REALTOR® Technology Survey Report.